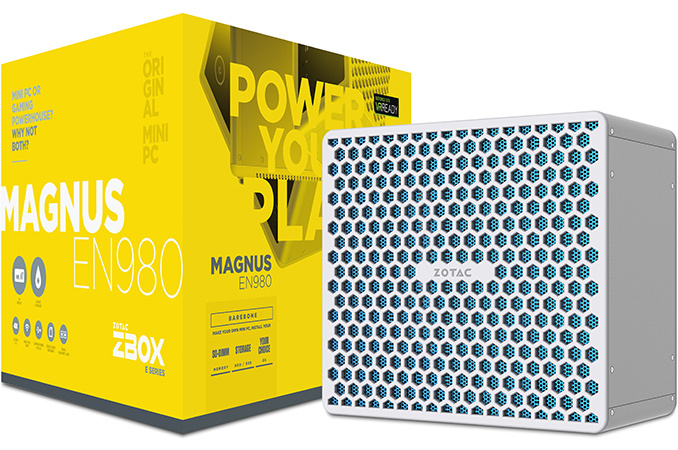 Several months ago, ZOTAC introduced its ZBOX MAGNUS EN980 PC featuring NVIDIA’s GeForce GTX 980 Notebook GPU. 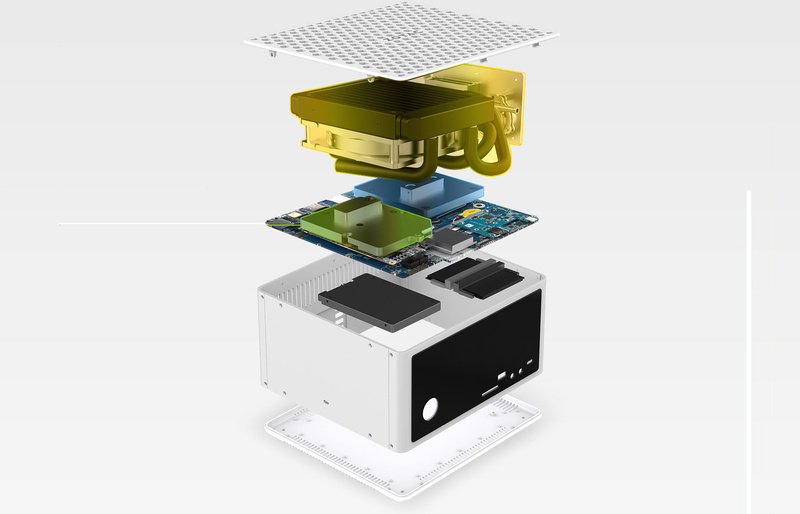 It was positioned as one of the world’s smallest VR-Ready systems. This week, the company disclosed the final specifications of the machine, and also gave some insight into the internal layout. The dimensions of the MAGNUS EN980 are larger compared to its predecessors. However, its performance should indeed be enough for modern VR games. The ZOTAC ZBOX MAGNUS EN980 is equipped with an Intel Core i5-6400 processor (4C/4T, 2.7 GHz/3.3 GHz, 6 MB LLC cache, 65 W TDP) as well as a custom LGA1151 motherboard with two slots for DDR3L-1600 memory. NVIDIA’s GeForce GTX 980 4 GB Notebook module, one M.2-2280 slot for a SATA SSD, a SATA connector, two Gigabit Ethernet controllers, a 802.11ac Wi-Fi / BT 4.0 module and a USB 3.1 controller make up the other important features. Zotac plans to launch three different versions - a barebones with just the CPU and GPU installed, a PLUS version with 8GB of DDR3-L and a 120GB M.2 SSD / 1TB 2.5" HDD without OS, and a WINDOWS edition similar to the PLUS, but, with Windows 10 Home pre-installed. From a performance perspective, the MAGNUS EN980 should meet the minimum requirements that Oculus VR has set for games compatible with the Oculus Rift VR headset: it has a quad-core CPU along with NVIDIA’s GeForce GTX 980 graphics card, which outperforms the AMD Radeon R9 290 and NVIDIA GeForce GTX 970 - the minimum graphics cards recommended by Oculus VR. In addition, the PC can support at least 3 TB of storage (1 TB SSD + 2 TB HDD) and officially supports 16 GB of DDR3L memory. Besides, the socketed nature of the CPU means that users can potentially upgrade it, if desired. The MAGNUS EN980 system has a fine set of external ports, including two HDMI (2.0? ), two DisplayPort 1.2, two GbE, four USB 3.0, one USB 3.1 Gen 2 Type-A and one USB 3.1 Gen 2 Type-C. In addition, the PC has a 3-in-1 card reader (SD/SDHC/SDXC UHS II). The GeForce GTX 980 Notebook should support HDMI 2.0, so it is likely that the 'HDMI 1.4' specified in the product brochure is a typo. The user manual (PDF) also mentions HDMI 2.0 support. In any case, the system does support four simultaneous display outputs. Oculus Rift users will utilize three USB 3.0 receptacles as well as one HDMI port to connect their VR gear. Moreover, while the EN980 system is equipped with 3.5 mm audio in/out jacks, it does not have multi-channel analog audio outputs, which means that those, who would like to use 5.1/7.1 speaker systems will have to add a USB audio solution. As a result, some consumers might run out of USB ports, and might wanto to make use of a USB hub. 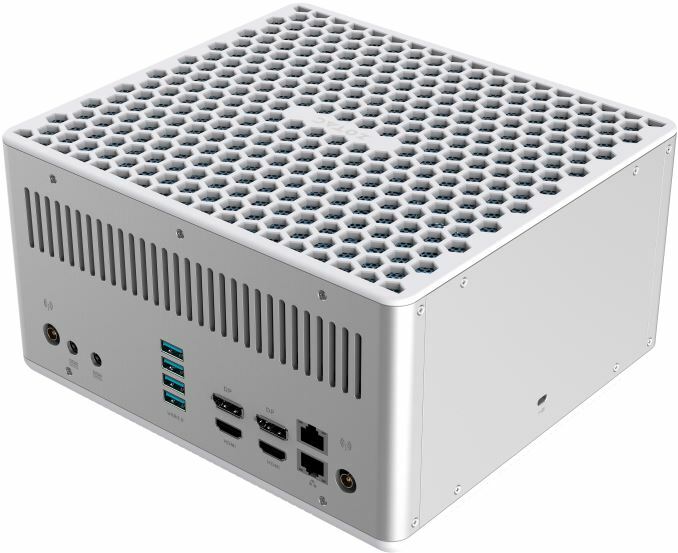 In terms of size, the MAGNUS EN980 (225 mm × 203 mm × 128 mm) seems to be comparable to typical mini-ITX systems and is clearly larger than any Intel NUC-like PCs, or ZOTAC's own ZBOX computers. To cool down the GPU (145 W TDP) and the CPU (65 W), ZOTAC has invented a special liquid cooling system (which slightly resembles Corsair’s low-profile H5 SF, but is clearly a different device) with a huge radiator and massive (likely 140 mm) fan. This cooling system as well as the GeForce GTX 980 module are the two primary reasons why the EN980 is a relatively large computer. To feed the PC, two external 180 W power supplies are required, which is something new in the world of SFF PCs. 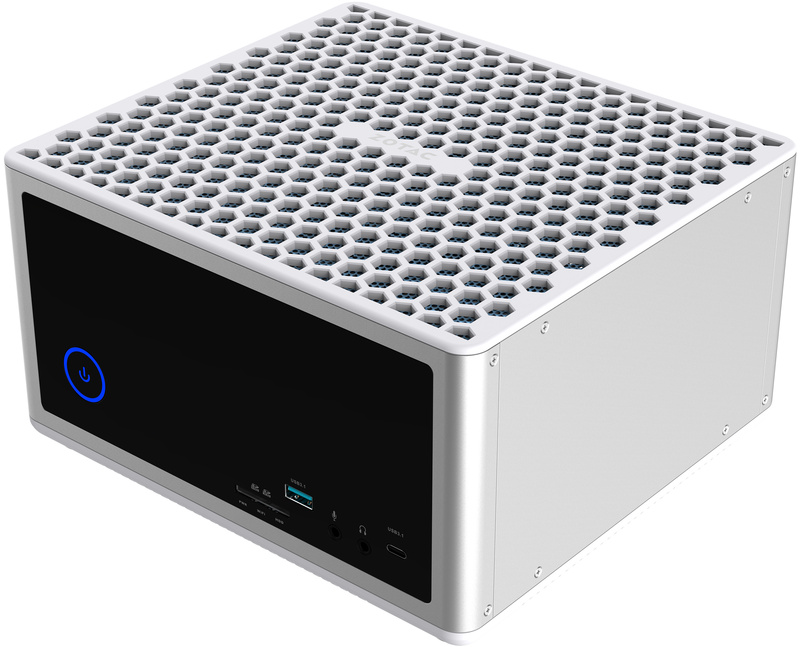 The new ZBOX MAGNUS EN980 PCs is being demonstrated at Computex 2016 and will hit the market in the coming weeks. Pricing is still unknown, but, given the high performance and usage of sophisticated components, the EN980 is going to cost more than its predecessors. Heat is definitely a valid reason to make the power supply external for small cases like this. The marketing people need to make things CLEAR! "nVIDIA GeForce GTX 980 Notebook:" is NOT a 980. It's a 980m. All literature should state 980m or 980 notebook.